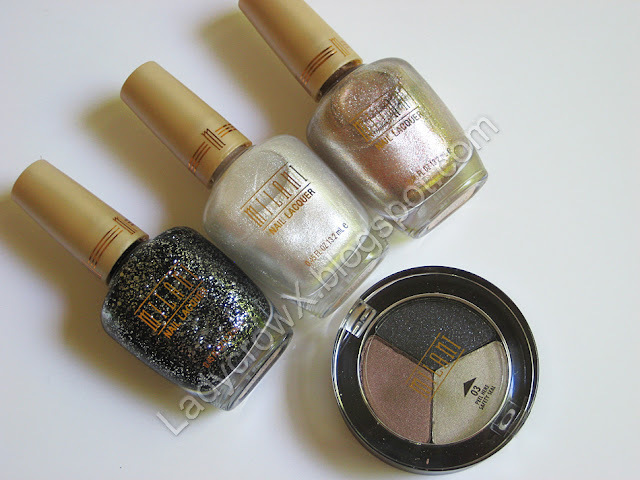 Milani released a limited edition collection called Pure Love during the month of April, this collection was exclusive to Walgreen's. The collection consisted of 3 nail polishes, and an eyeshadow trio. I've not seen this collection yet at my local Walgreen's (then again my area is slow at getting collections) but I was lucky enough to get a chance to check it out. I'm just doing a quick review on this one since it's limited edition! I also plan to do a look with the shadow trio soon! 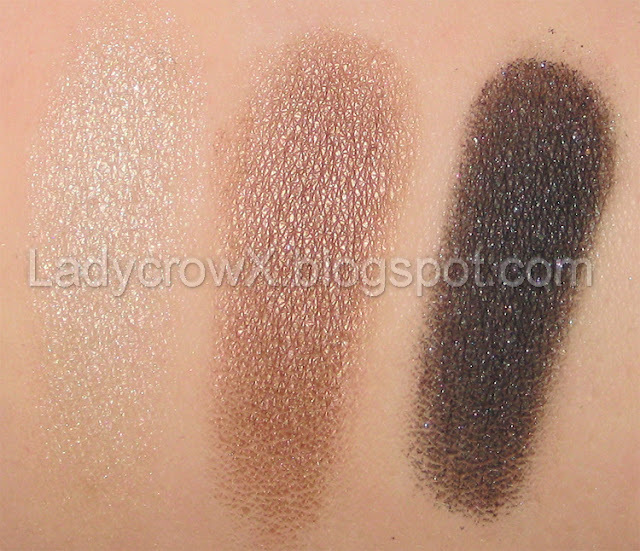 I really love the shadow trio it is very pigmented, easy to work with, and the shadows are smooth not chalky at all. 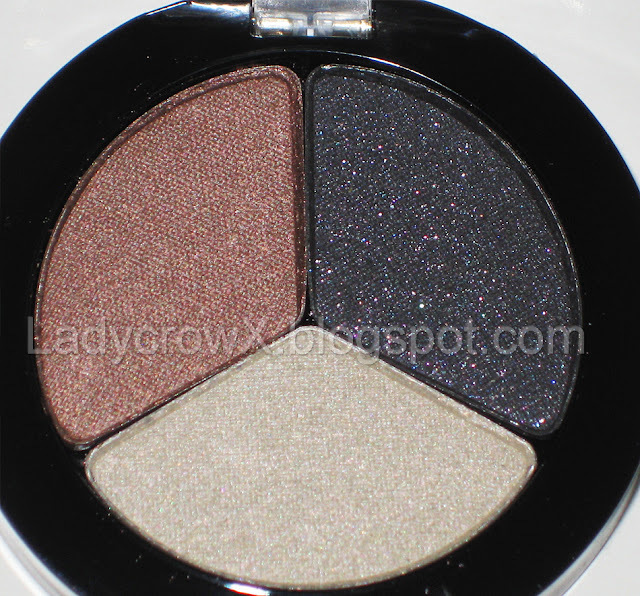 The eyeshadow trio is perfect for taking with you in your purse or bag since it's all in one easy to carry compact. Perfect for a neutral or for a more dramatic smokey eye look. The nail polishes are all very pretty, my favorite is Bridesmaid but Gray Tuxedo is a close second. All three of them apply nicely, Brides Maid and White Wedding Dress are fairly opaque with just one coat (Gray Tuxedo needs two coats). If you happen to see this at your local Walgreen's I'd definitely suggest picking it up! What do you think? Did you pick any of these up? I wish we had Milani in the UK. The nail polishes are gorgeous!